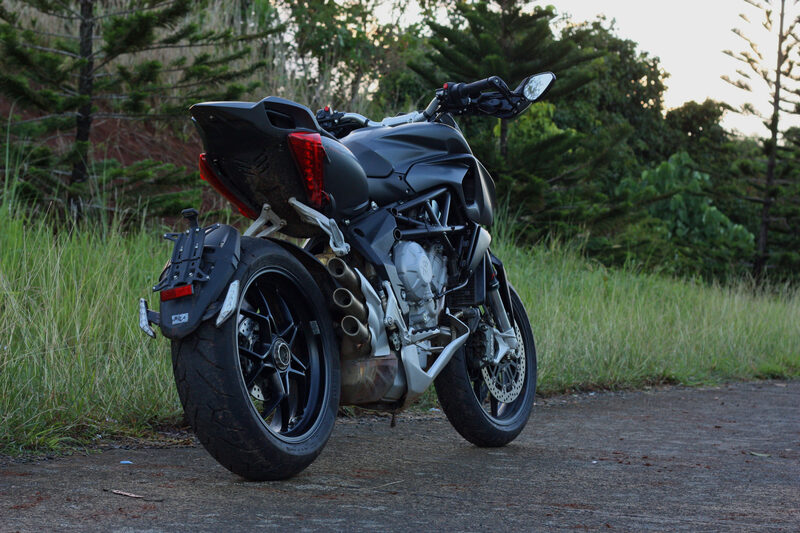 Imagine my reaction when I first saw the MV Agusta Rivale 800 sitting inside the warehouse last week. I told myself there’s no way anybody’s gonna make me ride it because first, it’s tall. At 881mm, the seat height is taller than my 5-foot 7-inch height can comfortably manage. Second, tipping a bike over that cost PhP 1.299 is not something to get really excited about. And third, and perhaps the most daunting reason, is that the only test unit they’ve got is owned by no less than Granstar’s president and CEO Fabian Go. 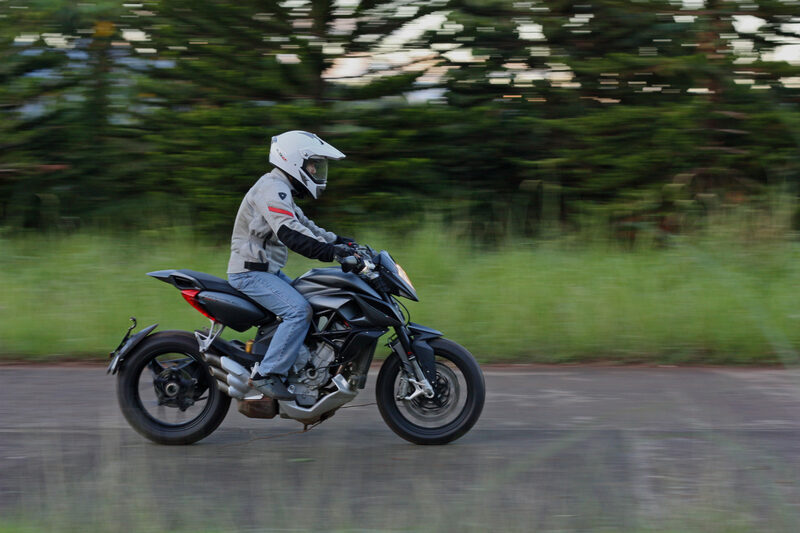 That’s why I asked for a MV Agusta Brutale 800 test unit instead. Then the same president and CEO informed me that there was no available Brutale 800 test unit but he would gladly lend me his personal pride and joy. Oh, dear God. Resting on its side-stand, I can’t help myself but marvel at the shapes and curves of the Rivale 800. I don’t want to sound like a cliché, but photos simply don’t do it justice. It. Is. Downright. Gorgeous. In fact, it was voted the most beautiful bike in Milan’s show in 2013. Adrian Morton, the designer who shaped the Rivale, is a graduate of London’s Royal College of Art. But it was probably from designer extraordinaire Massimo Tamburini, whom he worked under for a while, where he truly got his influence before moving briefly to Italian rival Benelli, then moving back again to head MV Agusta’s design team. It may not seem like it, but the Rivale is actually a Supermoto-style bike just like the Aprilia Dorsoduro and Ducati Hypermotard. 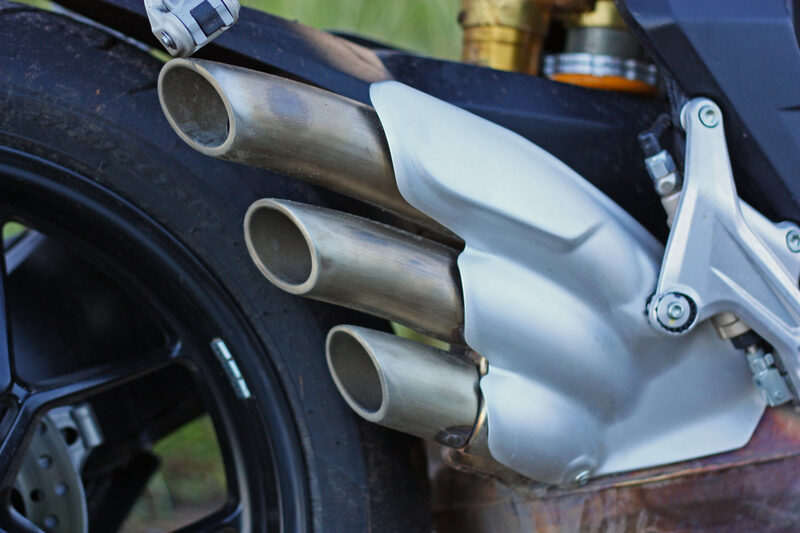 It’s just that the Rivale 800 is more art sculpture than motorcycle. I’m not vain, but I often caught myself looking at my reflection on shop windows while riding the Rivale. In fact, wherever I went, I could see looks of envy from car drivers and fellow motorcyclists. Funny thing, though, more than once someone exclaimed that it looked like something from a Batman movie. Another gorgeous aspect of the Rivale 800 is the Brutale sourced 798cc inline-triple, not only in the way it looks, but also in the way it produces power and most certainly in the way it sounds. The liquid-cooled, dohc, 12-valve, inline-3 motor spins eagerly to 13,000rpm, emitting a soulful howl coming out of its wonderfully sculpted (there’s that word again) trio of exhaust silencers exiting on the right side. 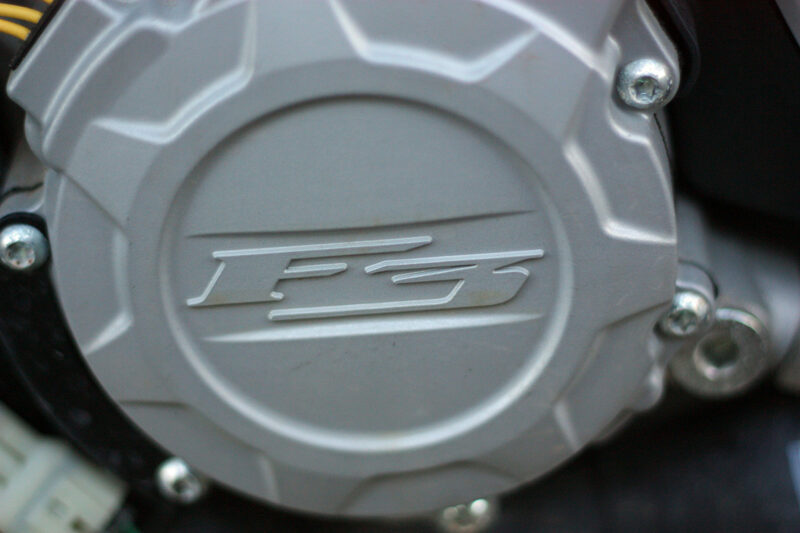 The motor is rated at 125 bhp with a generous serving of mid-range torque. Combine this with a dry weight of only 178 kg. and an extremely compact 1,410mm wheelbase, then what you’ll have is a bike that loves to lift its front wheel in the first three gears at low speed and a heavy throttle hand. And with a melodious sounding triple, I’m quite sure that’s gonna be a regular occurrence. 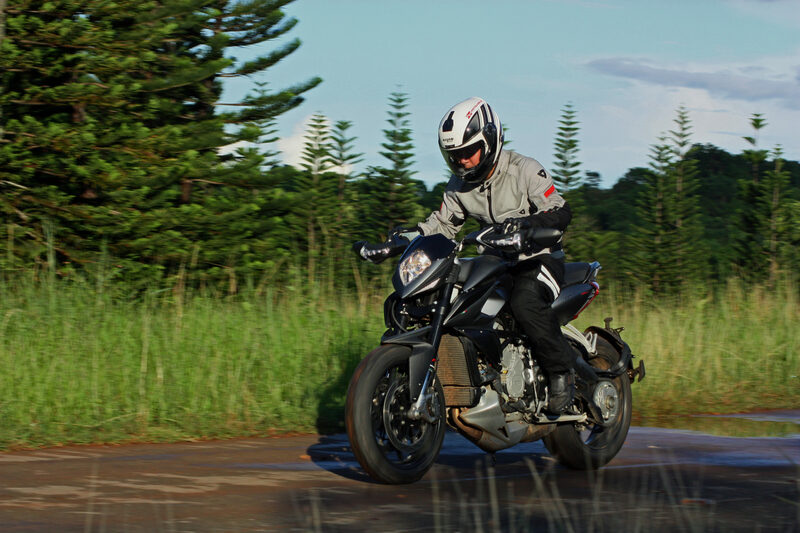 Riding the Rivale 800 is not unlike riding a naked roadster because its chassis is closely related to the Brutale 800, featuring the same steel tube trellis frame joined with sculpted (ditto) aluminum sections where the single-sided swing-arm pivots. 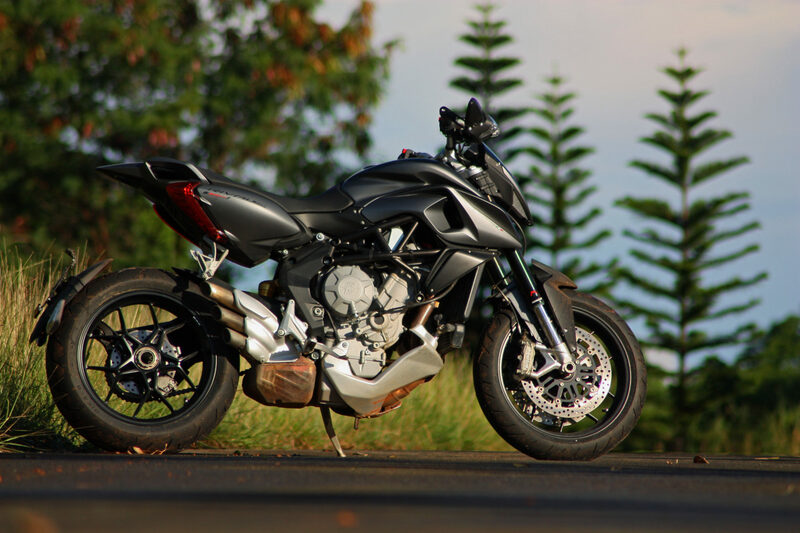 Where it ultimately differs with the Brutale, however, is the use of high travel suspension; fully adjustable 150mm Marzocchi inverted forks up front and 130mm Sachs on the rear, versus the Brutale’s 125mm on both ends. This and the motocross-style seat resulted to the tallish 881 mm seat height. Thankfully, because the seat is narrow enough where it meets the fuel tank and the rear shock absorber sags a little bit, I was able to reach the ground on tiptoes, if just barely, while seated. The reach to the slightly raised and wide handlebars is short making for a relatively upright riding position. 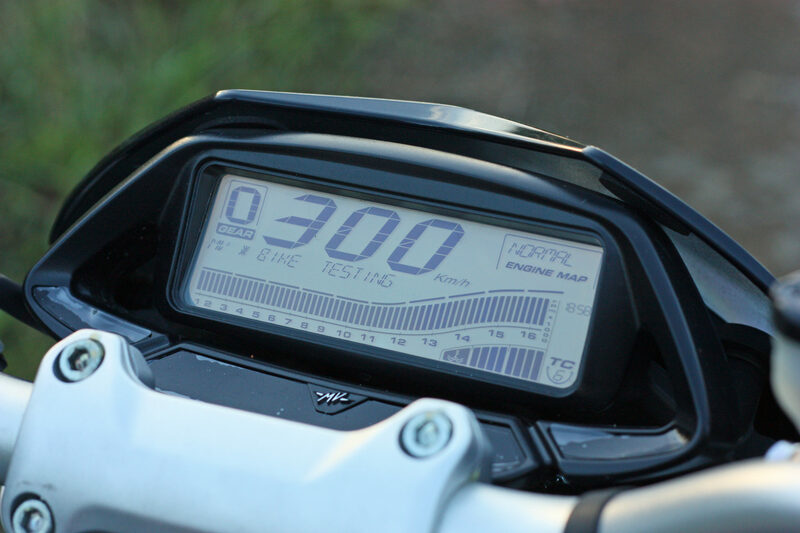 The tall seat and lack of any wind protection makes riding long-distances on the Rivale 800 quite a chore. But on the right roads, it’s simply brilliant. I got my first taste of the Rivale’s sweet handling brilliance on our way up to the twisty mountain roads of Tanay, Rizal. Filtering through traffic on our way there, however, was made difficult by the wide handlebars made even wider by the unorthodox placement of the sideview mirrors. I had to fold them more than once just to prevent them from scraping other vehicles. But other than that, the Rivale is an absolute blast to ride especially when the roads get twisty. The wide handlebars and its lack of weight aids maneuverability; changing directions can only be described as telepathic. Just choose your desired entry point into a corner and nudge the handlebars slightly while aiming for the apex and be astonished by the Rivale’s cornering stability and abundant cornering clearance. 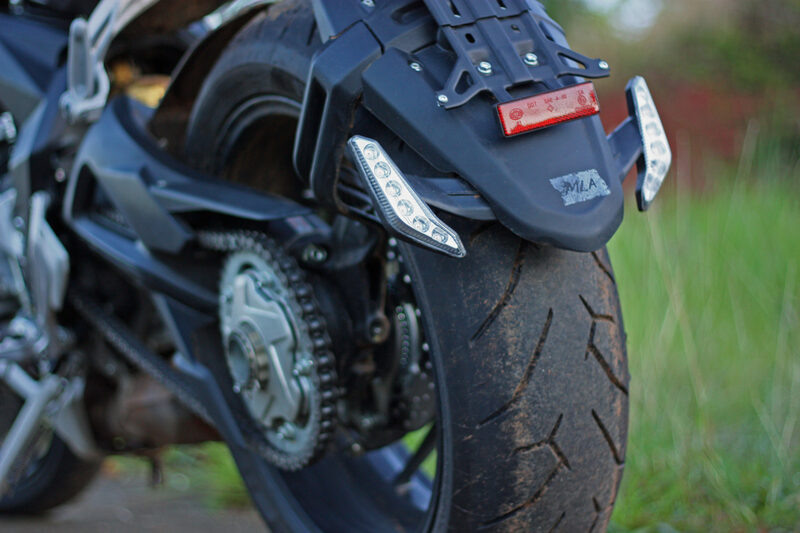 There’s no worry about spinning the rear tire when exiting aggressively out of corners because the traction control system effectively calculates the power output for available traction, even while leant over. More adventurous riders can even choose from 8 different traction control settings, and also 4 engine maps: Sports, Normal, Wet and Personal. 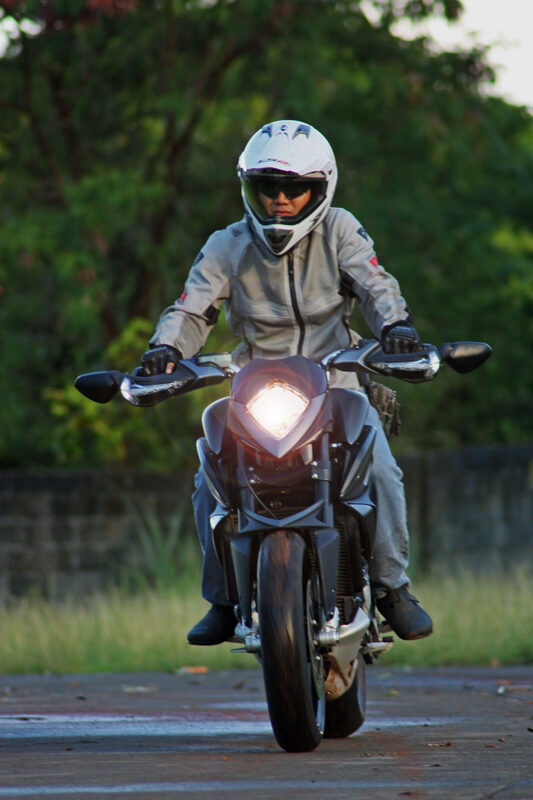 The Personal setting can be customized by the rider depending on his/her own preference. 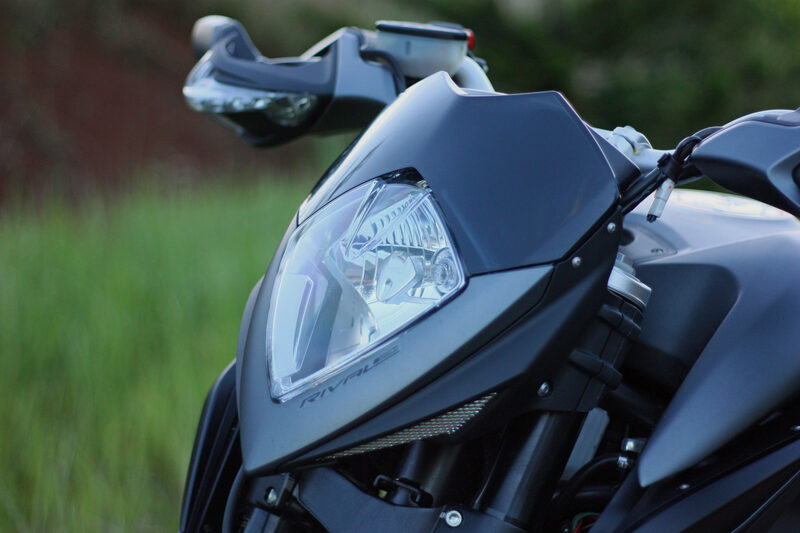 The RbW (Ride-by-Wire) system is unlike other in the MV Agusta stable. There’s none of the snatchy feel of previous models, just smooth and progressive power it almost feels like a cable actuated system. 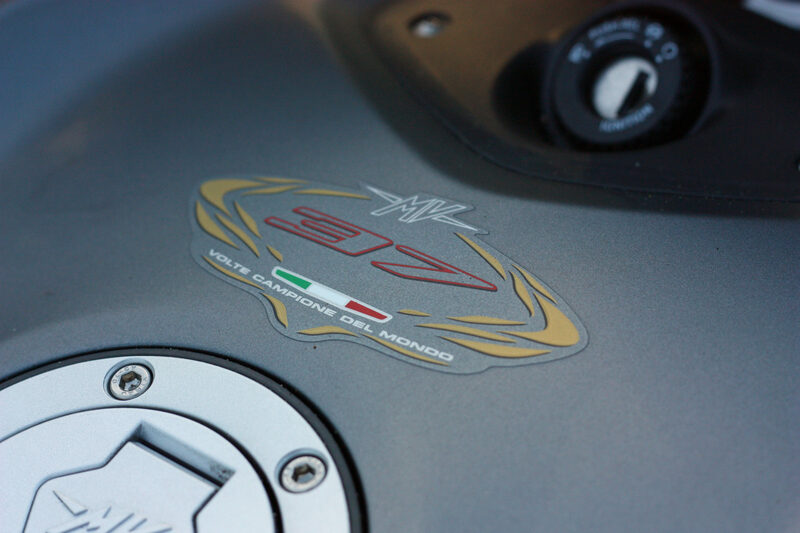 The Rivale’s standard quickshifter is also one of the best systems we’ve tried so far. Working seamlessly at full throttle and during short shifting, it almost feels like an automatic. 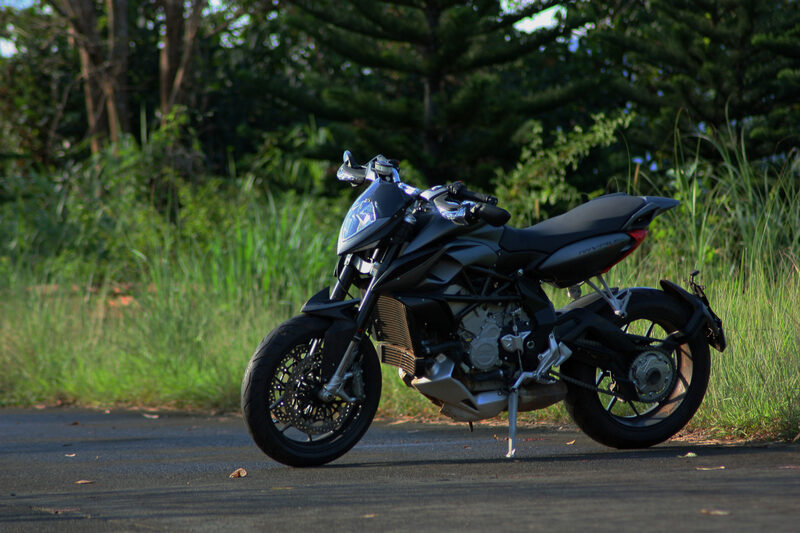 Curiously, MV Agusta didn’t bother adding ABS into the mix so I was extra careful after a brief rain shower caught us in the middle of our photoshoot. 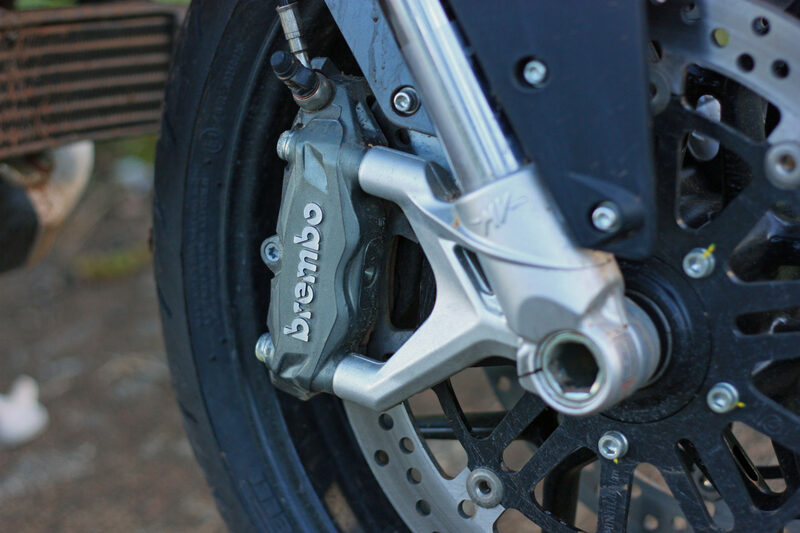 The radial mount Brembo front calipers nevertheless provides powerful and fade-free stopping every time, while the Pirelli Diablo Rosso II provides confidence inspiring grip, even on wet roads. As fun as it may seem, it’s hard to justify the Rivale 800 especially that the almost similarly equipped Brutale 800 is almost 200K cheaper, not to mention lower and more practical. 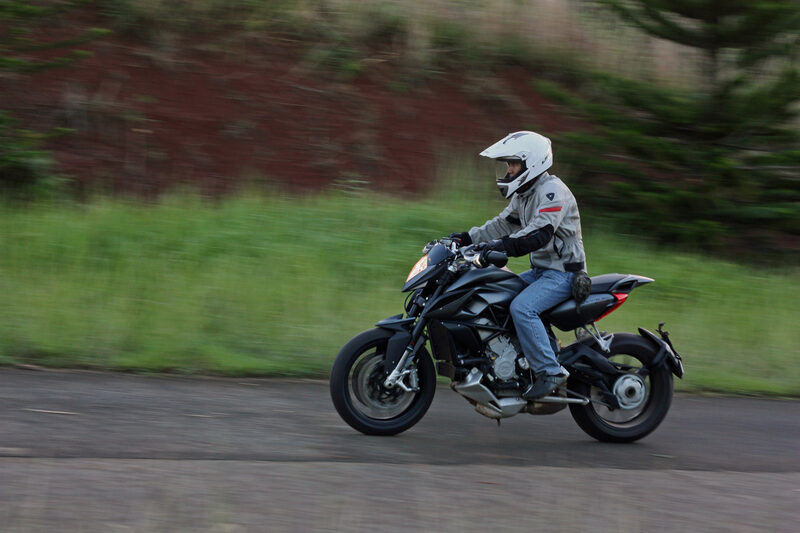 But then again, the Rivale 800 is not intended for every rider, nor is it a practical tool for commuting. It’s meant to be a stylish and fun statement. Like the owner of our test unit, it’s for people who appreciate the finer things in life. People who value exclusivity over mediocrity. If you look at the Rivale 800 in that perspective, then it makes perfect sense. While I’m far from being a president and CEO of a big company, at least I was able to experience, even for just a few days, the thrill of riding a bike like no other, a bike we’re sure master Bruce Wayne himself wouldn’t mind adding to his arsenal.